And on this beautiful evening I have some incredible news to share with you – our dormitory is finished. 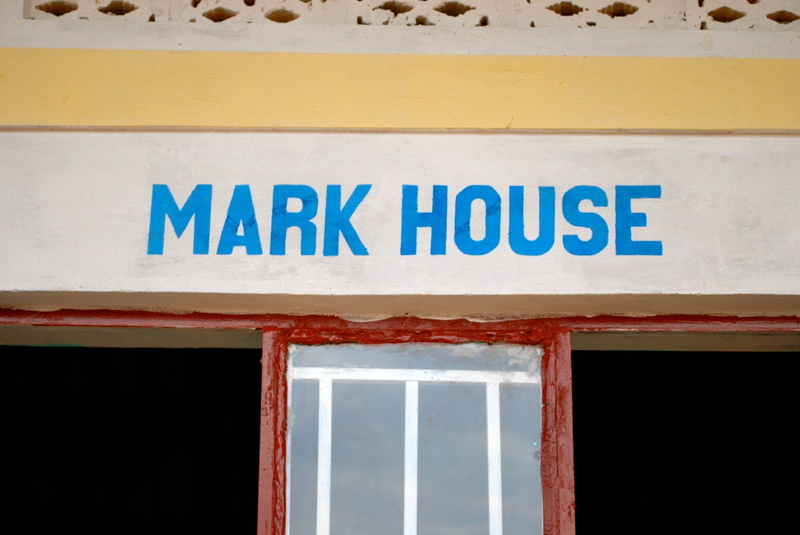 Mark House was officially opened on the school’s Visiting Day and is now the handsome home to dozens of gorgeous red-sock wearing boys. While the girls proudly moved into their very own Kiwi House in 2009, now, in 2013, the boys have Mark House. The dormitory was named in honour of an incredible man named Mark Blomfield. I first met Mark in 2011 when he turned up to one the typically chaotic dinners my mother hosts for hundreds on the deck of our house in the Bay of Islands. He was captivated by the story of KAASO and immediately offered to sponsor two of the children through secondary school. But he didn’t stop there. When I sent out my fundraising appeal in July, voicing the ambitious hope of raising $10,000, I was sitting in an airport frantically typing as my flight was called to San Francisco. Before I’d even managed to board my flight, Mark had pledged £1000. He was a passionate supporter of this dormitory and a constant source of encouragement for me to keep going with the fundraising, believing every step of the way that we would get there. To help get us over the line, Mark offered to match every donation dollar for dollar, an overwhelming act of kindness and compassion. Tragically, last November, Mark died of a heart attack. It was a devastating loss and while I had only known him a year, he made a huge impression in that short time. He was someone who cared deeply and, with quiet determination, made sure this dream would come to life. This dormitory is dedicated to his wife Jan and to Mark’s memory. I know he would have been proud.